Earlier this spring, local educator, Lauren Ziccardi and former Solar Energy International AmeriCorps VISTA, Kristen O’Brien felt the spark of a brilliant idea! 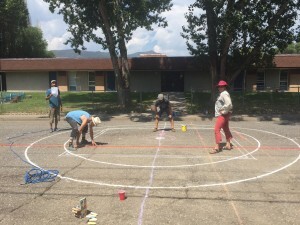 They envisioned a beautiful mural at the intersection of BoxElder and 4th Street here in Paonia that would first and foremost provide a space for neighbors to get to know neighbors. 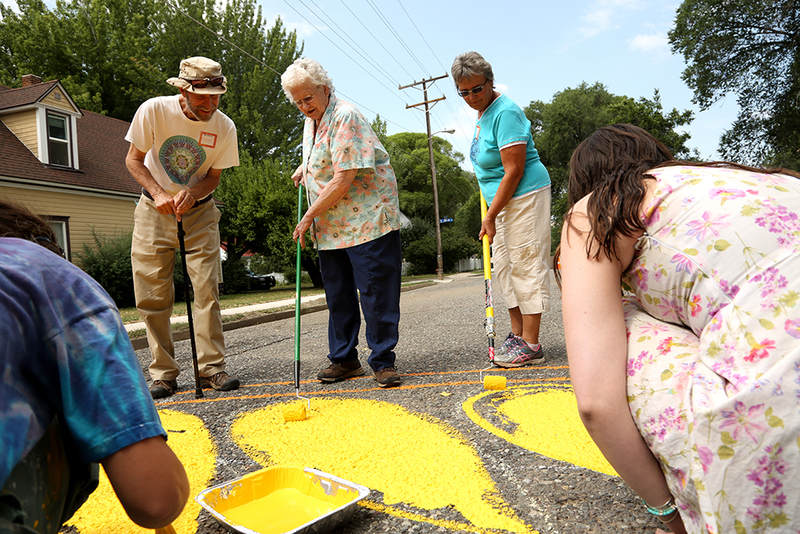 Ziccardi and O’Brien’s thoughts were that once neighbors became familiar with one another, they could work collaboratively on creating safer street crossings, as well as creating physical artifacts that community members can gather around year after year. Ziccardi had participated in a few workshops that were held in Portland, Oregon led by a group called the Village Building Convergence who develop placemaking projects. She learned a lot about planning and facilitating community art projects and used her skills to spearhead the construction of the Art Wall in front of Elsewhere Studios. That project was a huge success and the community art bug bit her again! 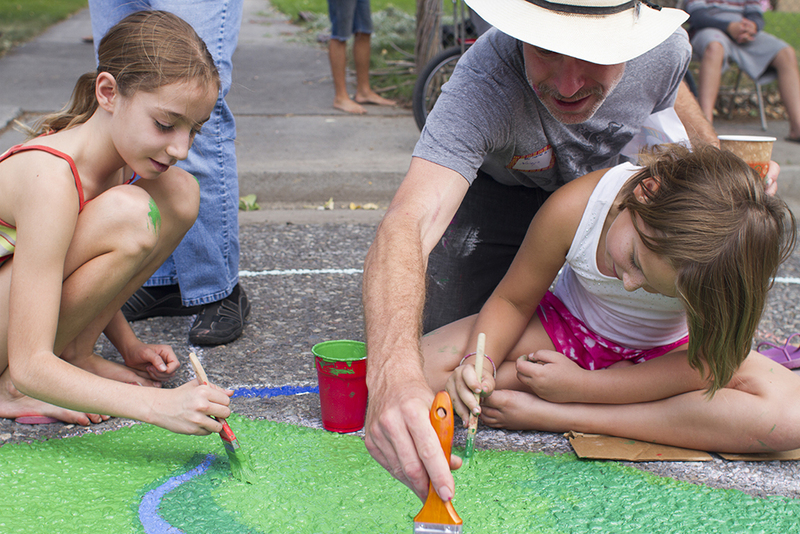 The intentions of the street painting project were clear, but enlisting the help of others was key. Ziccardi’s first point of contact was Paonia Elementary School. She proposed this idea as a representative of The Learning Council during a parent/teacher committee meeting where it was well received. Before long, the school was on board, and students were imaginatively designing their ideal intersections. Some included the Paonia Eagle mascot or decorative fountains, but the majority was centered on nature. After students submitted their designs, all neighbors within a three block radius were invited to Ziccardi’s and O’Brien’s home for a series of tea parties, potlucks and design workshops to meet one another, become informed of the project, and express their opinion; positive or negative. It was important for Ziccardi, O’Brien and the project’s core committee for everyone to be aware of the intentions of the project, and to have a voice. Members of the core committee included, Jodi Simpson and Cari Johnson, who both acted as liaisons for Paonia Elementary School, as well as Susie Kaldis, local artist and founder of Theoni Designs, myself and many of the local artists. Ziccardi and O’Brien also committed to working with the Town of Paonia to ensure their approval of the project. They met with the town council on multiple occasions to develop a written policy, which will now be used for similar projects in the future, and sort out all of the logistical details. Ziccardi and O’Brien got in touch with the Colorado Department of Transportation as well to get their opinion on the highest quality, and safest type of paint to use on the street. After months of research and preparation, The Learning Council team’s hard work paid off and the project was approved. The final design to be painted on 4th Street (the location changed slightly due to future water line repairs) was a Peony flower with a river running through it and mountains surrounding it. 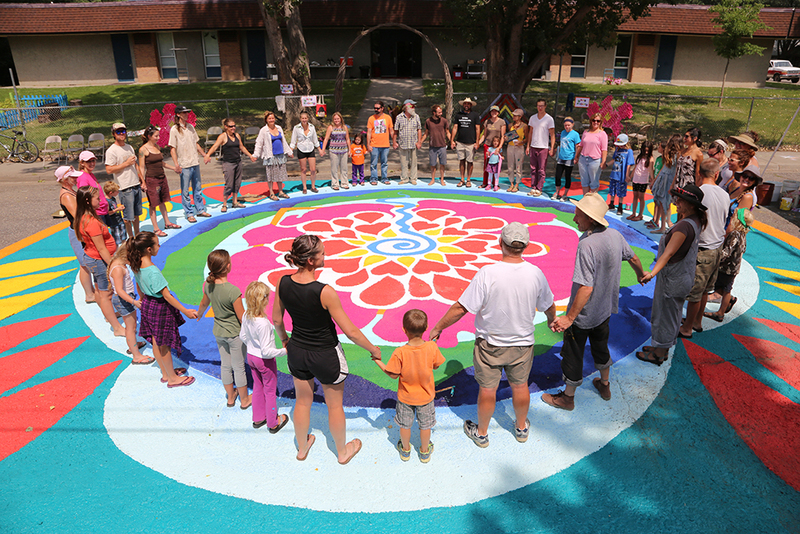 Naropa, Susie Kaldis, Willow, and Aralia Rose, who are all outstanding artists created this piece by interpreting all the designs from students and neighbors, truly capturing the community’s visions. Soon after approval, a date was set, paint was ordered, invitations were distributed, and donations were accepted! 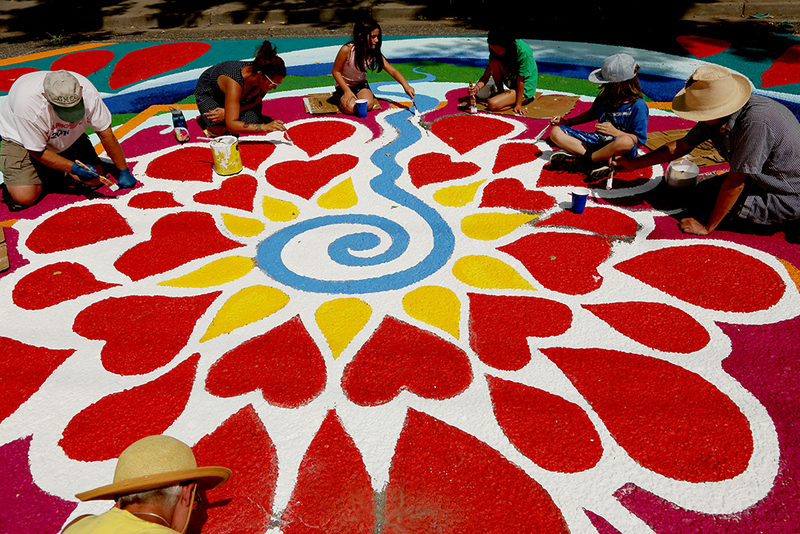 Artists began to lay out the design on Friday and painting commenced on Saturday. 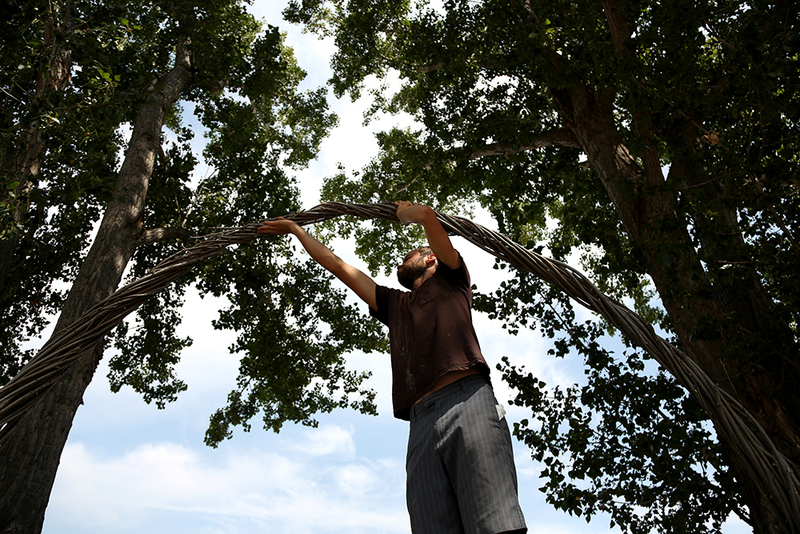 Everyone was also enthusiastic to lend a hand to local artist, Ryan Strand who built a willow branch arch over the entryway of the school, and get creative with fun, fence weaving! The support from the community was unreal, and the energy was high. 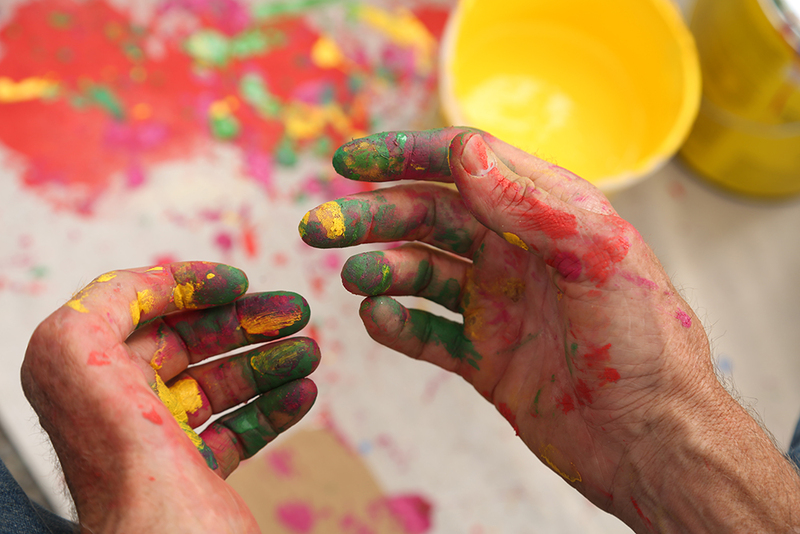 Kids and adults alike were lined up and ready to paint, while sunshine, good tunes, colorful paint, local food, and smiles paved the way for a beautiful weekend. Thank you to all the sponsors, artists, painters, and overall supporters of this project. It certainly was amazing to be a part of the entire process, and to not only witness the beauty of the street painting, but the beauty of the community.